Introducing our newest addition to the Gin Shu Collection. This pair of beautiful Gin Shu Gold Glit Metal Tables. With two tables in this set it means you can spread them out throughout your home and make a statement. 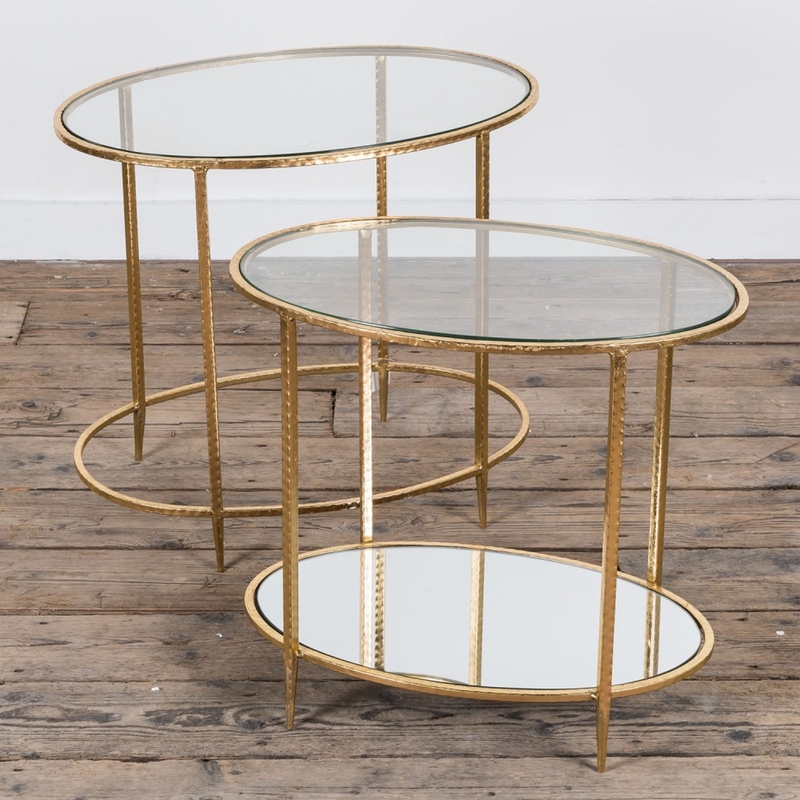 With a shiny golden finish and glass top, this set of tables also features a mirrored bottom shelf for your storage needs.